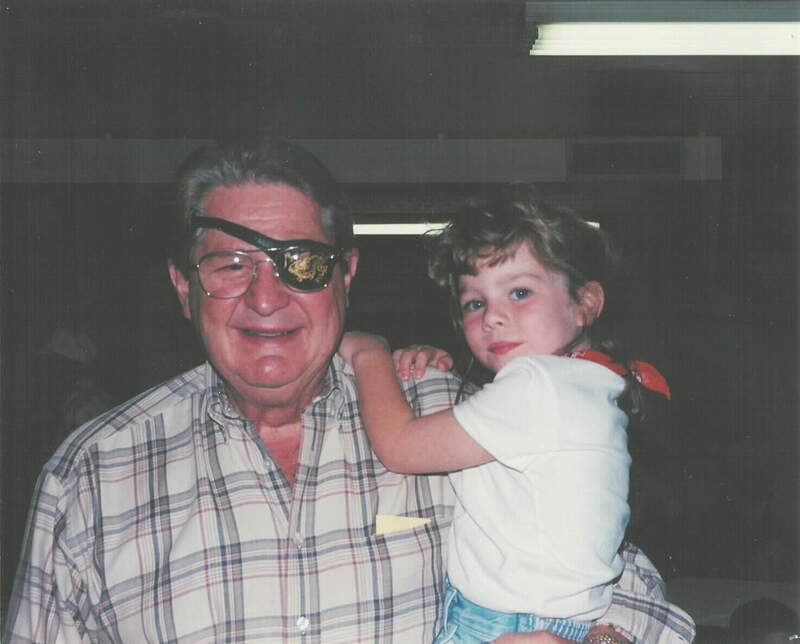 I did send a note to thank you for including my article in my father's website that you have so beautifully and thoughtfully put together and tendered, that I finally sent to you in 2005, but I now have 2 photos that I hoped you might include also. The first is of Daddy and my middle daughter Devon - at her kindergarten 'graduation', and the second is the day of his service at Arlington on 9 April, 2002..... (l to r) of my brother John David, my sister-in-law Leslie, my sister Jennifer, my brother Mark, my mom Jann...and my hand on my mom's shoulder. I wish I had been included in it, but the bottom line is that it is a poignant photo and reminder of how those left behind are touched by senseless tragedy. It has been over 3 1/2 years and I finally was able to get my courage up to view my father's (John D. Yamnicky, Sr.) section in your Arlington website which has Doc's (Dennis Plautz) eulogy and the article about my sister Jennifer. I also work for a defense contractor at PAX River NAS, Patuxent River, Maryland, and a year after the attack, wrote an article that was published in the local NAS paper, The Tester. I am requesting that you include it in your website if possible. It reflects a deeper side of my father, if that's possible - but I guess more for selfish reasons, I want anyone that looks at it to know that side of him. I am including the article. I haven't changed my feelings much over the years, but as I said, I finally was able to look at the website. You did a beautiful job." "It’s just difficult to put words and feelings of an entire year of pain into a few paragraphs. "My father, John D. Yamnicky, Sr. was on Flight #77 that crashed into the Pentagon. "Do you want to know how I feel, and what I think about? I relive that morning and that day over and over and over again, and I get sick with the memories. They never go away. The closer the anniversary date comes, the more frightened I become. Over the past year, I have battled with various emotions – anger, pain, and grief. I look at my young children, and cry yet again, knowing that Daddy will never see them grow up. I cry knowing how much he loved them, and how very proud he was of his grandchildren. When I cry, my children hug me and say, “you miss him, don’t you”, because they know why I cry. Then they say, “God bless Granddaddy”, and “Mommy don’t cry, because he is in heaven with God”. Then I remember when the children were so little….my son and daughters used to climb all over him – he was so big, and they were so tiny. And he was so proud. "My father and I worked in the same building, on the same floor. I go to work and cry and feel sick inside, because I know that never again will I see him smiling at me in the hallway. I feel so lost sometimes, because there are so many times that I want to run up to him, or call him and say “Guess What?? ?” The time will never come again. I spend a lot of time wondering how there could be such evil in the world, and how could anyone, ANYONE, have been so cruel. I spend a lot of sleepless nights wondering how his last moments were, but deep down inside, knowing that my father would have been comforting someone else. I spend a lot of time wondering what he was thinking about. Then I spend a lot of time feeling selfish, because I know there are so many others who have lost spouses, children, and siblings, and those who were just beginning their lives together. I go crazy sometimes thinking that my beloved father, who spent his entire life fighting terrorism and evil, could have come to his end at the hands of people he spent his life trying to protect the rest of us against. "I wonder often about the significance of the date ‘ 911 emergency’. I wonder why, for the first time, that he didn’t tell me that he was going on travel. I remember the frantic phone calls, as if it were this morning, and the answers that I never got. You want to know what life has been like? This is it. I feel guilty when I’m happy about something. I hear songs that he loved and sang to me, and then I laugh, and then I cry. Then I wonder if God knew. The weekend before he was killed, he and my mom stopped by unexpectedly. My mom said, “Well, Daddy wanted to see the grandchildren”. I think about that so often, and count my blessings – because my brothers, me, my sister, and my mom and dad, were always a close family. I can’t even say that we’ve come closer together, because we were one of the families that were blessed with each other. 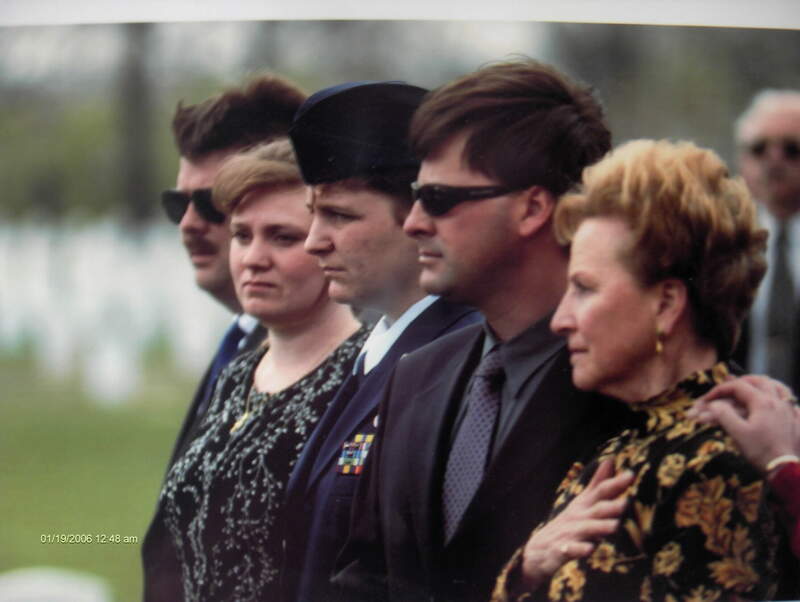 I think of CMDR Bob, and LCDR Jennifer – who were the volunteers who took care of “the Yamnicky Family” at the time of the Pentagon Memorial, and who, in spite of the situation, became attached to our family. Bob and Jennifer - if you two are reading this….. please know that I am forever grateful to you, and will always think of you with a smile. "My father was a loved and respected man, and would never want us to suffer. But somehow, that doesn’t count much when you are devastated. I look at my mom, my brothers and sister, my husband, my children, my in-laws, my friends, and all of the other wonderful friends that our family has, and I know that they suffer too. A loss such as this should never have even been a thought in our minds, much less the senseless tragedy that it was. I have spent hours crying on the phone with them – then feel guilty because I am so selfish with my own pain. "I remember so many things – how he loved wine and spicy foods and garlic, and the fat on the steak, (well, the fat on the steak part – before we all had to be burdened with ‘nutritious eating’). I remember how much we loved to go over there because Daddy was grilling “Ribs”! He was the best in that field. I can’t even eat a barbequed rib now without thinking of how much he would love it. Daddy was our drinking buddy too. He sure did appreciate a good beer. All of our friends – I can’t count the nights that we all sat over there and ate and drank and talked, and loved it. They are such good memories…. and they never should have ended. "My father was a man that commanded love and respect from all avenues. He could talk to anyone, and made them feel as if they were the only person in the world. The best part about him, was that he really meant it. He exuded love and confidence, and everyone loved him for it. I can’t begin to tell you the number of people who wrote and said “if it weren’t for John”, and I knew precisely what they meant. I just had no idea how many there were. It was completely overwhelming. "Tragedies have happened over the years, and so many people have said ‘ if I only knew’. I can say without a doubt that my Dad knew completely how much we all loved him. I never got off the phone or left him without saying “I love you Daddy”. So then I always wonder if he had a chance to think of that on September 11th. It never goes away. "Thank you for this opportunity to express some of my feelings. Just how many ways can I say “Daddy, you are always in my heart, but I need you, and I miss you”? The one absolutely wonderful thing about my father – he was so proud of all of us, and it showed in everything he did and said. I feel for those who were never close, for whatever reason, to their parents, their families. I know I should be thankful for what I had, and I truly am, but it doesn’t take away the grief and pain that I feel, today and every day, when I remember, yet again." John D. Yamnicky, Sr., 71, of Waldorf, Maryland, was a retired naval aviator, but worked as a defense contractor for Veridian Corp. since his retirement as Captain in 1979. His son, John Yamnicky, said his father worked on the development of the F/A-18 fighter jet. 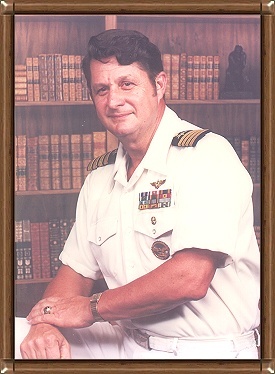 John Yamnicky Sr., was on a business trip on American Flight 77. After graduating from the U.S. Naval Academy in 1952, he became a Navy test pilot, flying an A-4 attack plane and would sometimes tell stories of his travels and Navy service in Korea and Vietnam. "He crash-landed five times and walked away from them each," said Cindy Sharpley, a friend of the family. "But not this last one." Captain Yamnicky was laid to rest in Section 64 of ArlingtonNational Cemetery, in the shadows of the Pentagon. 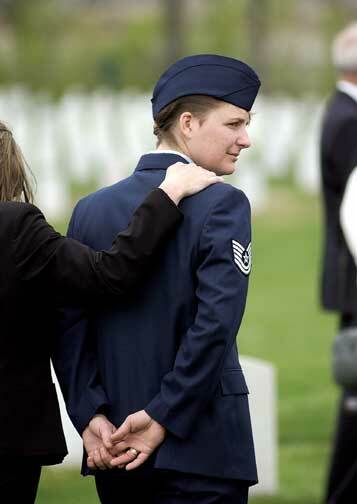 The last 9/11 funeral at Arlington National Cemetery occurred April 9. 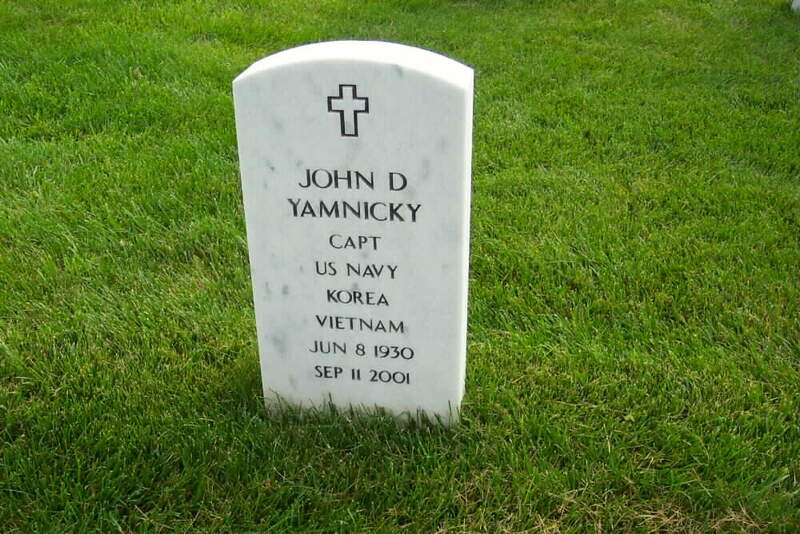 It was for retired Navy Captain John Yamnicky, 71. He had served his country as an aviator through two wars, commanding an attack squadron in Korea and flying off carriers in Vietnam. Later, he had headed the Navy's test pilot school at the Patuxent River Naval Air Station in Southern Maryland. He was flying to Los Angeles on the plane that hit the Pentagon. Let's imagine that you never met John Yamnicky, but found yourself at the recent gathering of the Tailhook Association. 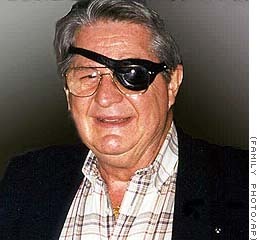 You might have heard someone say, "Hey, did you see that guy with the eye patch?" "YES, . . . Did you notice that there was a dragon painted in gold on that eye patch?" That was John, a man with Style. John was born on June 8, 1930. He was a native of Barren Run, Pennsylvania. John's father passed away when John was 16 years old. He and his older sister Mary supported their mother until her death in 1959. Did you know John was a phenomenal athlete? In his senior year in high school in McKeesport, Pennsylvania, John was on the State Championship Football Team. After winning the state championship, his team played in the Scholastic Orange Bowl on Christmas Day 1947, in front of 25,000 fans. He also played basketball and was on the school track team's championship 880-relay squad. John was a scholar as well as a superb athlete. He was accepted at Princeton University on both an athletic and academic scholarship. I read a letter from a Judge Weiss, Court of Common Pleas, Pittsburgh, Pennsylvania, on University of Miami (Florida) stationary that said that "We can match any scholarship offered by Tulane, Kentucky, Duke or (Penn) State. Then came the letter from Congressman Frank Buchanan stating that John had been accepted at the Naval Academy. Thus started a stretch of service to his country that would last 53 years. In the many newspaper clippings speaking to his athletic prowess was a short article from June 1950 stating that Midshipman John Yamnicky was home on leave and he was maintaining a 3.3 GPA. Of course, John was a football letterman at Navy. Truly a scholar-athlete. John graduated from the Naval Academy in June 1952, just in time to ship out to Korea where he served as, among other duties, an amphibious assault wave leader supporting the landings at Inchon. After obligatory service for one year as a "Black shoe", John was off to flight school. After receiving his wings on 26 January 1955, he reported to Utility Squadron 10, Guantanamo Bay, Cuba where he flew both jet and prop aircraft. That was 6 years before the Bay of Pigs. I recall him saying that drinks in the bar on the top floor of the Bacardi factory were 10 cents. He added with emphasis that he didn't know that for a fact, it was just a rumor! The hair-raising flying stories he told of that period were told with such off-handed casualness I won't even try to repeat them. John reported to NAS Cecil field as a carefree bachelor and joined VA-46. He and some friends established themselves in Orange Park in something he called a "SNAKE RANCH". I wonder what that could be. During this period the age-old story of the big powerful macho man tamed by a petite 105-pounder was retold. It was during this period that John met Jann Wilson. After a whirlwind romance, they were married on 23 December 1959. Jann told me that John had promised to love honor and obey, and he did. Over the next two years they were blessed by the births of John David and Lorraine. On his next assignment he entered the U.S. Navy's Test Pilot School at Patuxent River Maryland and graduated in 1961. The stories of those days were also filled with understated casualness. One of John's projects was to investigate the minimum acceptable airspeed for the A-4 aircraft after a catapult launch from an aircraft carrier. He worked with ground-based engineers to see what those minimum speeds should be, but confirmed the final calculations himself. The stories of shipboard catapult launches at slower and slower end speed until the point of sinking below the carrier deck after launch were frightful. For this, and other work he performed while at TPS, John was inducted into the Society of Experimental Test Pilots. What a way to earn a living! Oh, yes. John was a finalist for selection to the astronaut program but was eliminated because he was too big! In 1963, after TPS, John reported to VA-146 at NAS Lemoore, California. In 1964, John and Jann were blessed by the birth of their third child, Mark. That same year John was the operations officer for VA-146 embarked in USS Constellation and participated in the first days of U.S. retaliatory air strikes on North Vietnam after the Gulf of Tonkin incident. Ted Lloyd, a squadron mate of John's in VA-146 and life long friend of John and his family, said of John, "A good person to know and to be around." John and Jann's daughter, Jennifer, was born in 1967. Looking through a box of memorabilia, I found two diplomas from 1967. The first was from the Naval War College dated 14 June. The second was from George Washington University dated 30 September. That reminded me of the story of "The 'Thing' in the basement". Seems that John was a bit busy during that War College year. For many the course of study at the war college was enough. For others, John included, it was an opportunity to get a masters degree at the same time. The family didn't see too much of Dad as he was always studying. He wrote two dissertations, one for each course of instruction. He would write the pages out longhand and, periodically, bring them up to Jan to be typed. To the Kids, he was the "thing" in the basement. Next, John and family moved back to the Jacksonville area and joined VA-172. A quote from the command welcome aboard packet during his tenure as commanding officer is a good reflection on his feelings about people and service. All these many problems (command preparation to fight) involve men -- human beings. And, of course, they have problems of their own. So, you can see that we must have teamwork and cooperation to keep this squadron ready for any contingency. The individual is the real strength of our squadron . . . our Navy. . . our America. John could always see the big picture. From the early days of demonstrated athletic prowess to his last day, John emphasized teamwork. His style was never to leave a teammate straggling, rather work with them, help them, encourage them to maximize their potential. After his CO tour, John was selected to command a carrier air wing. He made a very unusual decision. John declined the assignment because he had too little time with his family over the preceding years and wanted to spend more time nurturing the development of his children. Their daughter, Jennifer, commented, "All the times we worked together on my math homework, I said I didn't understand. Your only comment was, 'Yes you do, just take another look', and there it was staring back at me." The family moved to Patuxent River for the second time and reported to the staff of the Commander, Naval Air Technical Center. After a few months, the director of the Test Pilot was killed in a glider accident. John was assigned to take over as Director and assumed the duties in May 1972. He felt his greatest achievement was his part in restructuring the curriculum. The school used to run three classes a year, with each class being eight months with no breaks. The admiral was of the philosophy that is it had been good enough for John and him, it was good enough for everyone else. John took the position that although the school was important, this was shore duty, and the students needed to have time to spend with their families, too. He eventually prevailed. The culmination of an effort started in 1958 resulted in a change to two classes a year, each class running for twelve months. Never one for fanfare, John retired in 1978 from the Navy as a Captain after 26 years of service on a Friday and went to work the following Monday for what is now Veridian. John could have gone many places, but chose to continue to serve his country and the Navy. Daughter Lorraine attended high school at St. Mary's Academy, an all-girls school where John was on the board of directors. Lorraine said, "Can you imagine what it was like to have your dad on the board of directors? I couldn't get away with anything!" Lorraine didn't like to get up for school, so each morning at breakfast John would sing to her. No, really, sing -- Good Morning Mary Sunshine. While Sister Mary Elizabeth ran the educational and spiritual aspects of the school, the board took care of the more practical matters of property, infrastructure, etc. In 1981, St. Mary's Academy merged with Ryken boys' school. John was instrumental in this effort. John joined the Knights of Columbus in September 1981 and was appointed to the position of Grand Knight in July 1987. He was a member of the Thomas Manor Assembly, 4th Degree, the highest Degree of the Order. The Supreme Council bestowed on him the highest award a council could receive, that of STAR COUNCIL in recognition of his leadership and guidance. He chaired numerous campaigns for the mentally handicapped through the K of C Tootsie Roll Drives, raising more funds than any chairman past or present. Harry Errington spoke to me about John's participation in the school board and his work with children. John was a life member of the Elk's Lodge in California, MD. John was instrumental in the installation of a pool at the Lodge. Once completed, they were able to provide swimming lessons and organized swimming meets for the children of southern Maryland. I first met John in 1991 while I was on active duty in the Navy. John was on the developmental integration team and I was on the Operational Test and Evaluation team. In those days, relations between the two sides of the acquisition fence were not always pleasant. Not so with John. We worked closely over the next three years on this effort. In 1994, when I was about to retire from the Navy, I was offered an opportunity to submit a resume to work for John. I completed the obligatory ethics review. I answered some of the questions incorrectly because I made incorrect assumptions about the relationship with the government customer. The company legal counsel decided I should not be hired. John would not let it rest. He called me and directed me to get another ethics review and explain why the first review was faulty. I was able to get a new review, submit it to the company, and report to work in October 1994. Had he not persevered and pushed me, not only would I never have known his family, I would have never met my wife. John was proud of his service to the De La Brooke Foxhounds W Hunt Club. He and Jann were members for 25 years. Jann and Jennifer would ride and John would work on the support staff. John told me with great pride that he had received his colors for all the work he had performed for the hunt club, a very rare honor for a non-rider. Jann stated she didn't actually know too many of the members. While John, the permanent bartender, knew everyone. No surprise there. John and Jann were world travelers. More than one time when they arrived back home they found a room was painted or some other project that had been completed by the children. They do so much for their children. The love and training they provide to their children taught them that, when you receive, you must give back. They always took the time on their trips to remember others. There was normally a gift for "his girls" in the office when he returned. Jann and he were that kind of people. John's son, Mark, implied Dad ran a tight, but fair ship at home. His friends would stop by on Saturday and ask when Mark could go off with them. He said, "When my chores are complete." Mark said that Dad always had them up for early Mass on Sunday, seven o'clock when it was available, so they could get back and get their chores complete. John used to tell me that Mark would dig things out of the trash that could be taken apart to see how they worked. John was very proud of Mark's mechanical abilities. He said, "Mark can fix anything." When Jennifer needed a fence built for her new home, John had everything ordered and organized. They made a family work party out of it. Jennifer said of her dad, " All those fences, together we made a hell of a team." Son John David said, "This guy was the head of the family, he made everyone feel safe. If he ever talked about accomplishing something, it was as a group or a team. He didn't hang symbols of his accomplishments on the wall like so many do. He was a modest man." He added, "Dad, you are our hero, we're just sad we didn't have a chance to say good-bye." Jennifer added, speaking of her dad, "Your confidence was unshakable, your presence unmatched, your love so generous in your own special way." In 1973, when the POWs were released by the North Vietnamese, John was selected to be part of a medical control group to study the long-term medical effects of their incarceration. As a control member, he would go to Pensacola once a year for three days of physical and mental examinations. Last week would be about the time that John would be in Pensacola, but a business trip came up and he rescheduled. He was dedicated to the service he provided to our Navy and looked forward to the sidelight opportunity to visit Mark and his family. HE WOULD HAVE IT NO OTHER WAY! Over a period of years, after hearing of his accomplishments and service to others, I asked him why he took on so much outside his family. He told me the following, in approximately these words, "There was only one man who lived a perfect life. I have had some shortcomings over the years. I want to try and make sure I get enough positives on my list to overwhelm the negatives." On Friday, an individual who had recently met John in a professional context stopped me. After reading the article in the Enterprise Newspaper, he expressed amazement at John's accomplishments. His comment to me was that John was a man with so many accolades, but you would never hear it from him. He made you feel after a few hours that he had known you most of his life. He was a "tackle the task at hand" kind of guy. Physically, John was a big strong guy, even at 71 his arms were rock hard. Jennifer said to me, ". . . he was a wonderful man and I never got to get to the point where I could do more push ups than he did. He would use one hand and I two, someday I'm gonna get there." John wasn't one much for formality, he might wonder why all the fuss over him amidst the overall tragedy of September 11th. He didn't want this service. He didn't want to bring any additional sorrow to his family and knew the service would only rekindle their pain. But this service is for the living to honor and celebrate his life. John could have been, many would say should have been, on his back porch drinking a beer on September 11th. He was 71 in June. He never thought much about retirement. Those of us who are old enough remember where we were on the day that President Kennedy was shot. So, too, will we remember where we were on Tuesday, September 11th, 2001 and the magnitude of the tragedy. Amidst the sadness, I will always remember "Yam". Taken from us all, well before his time. But, I also know this: He loved his friends, his church and most especially his wife Jann and their family. He was a man who believed in giving much, while expecting little in return. A Veridian associate, Dave VanAsdlen, felt John might have said, "Remember me not for what I have done, but for what I may have given you. Not for how I did it, but for the happiness and joy it may have brought you." He will be missed by all, but be assured, when he is judged, he will not be found wanting. May John's spirit live in our hearts forever. 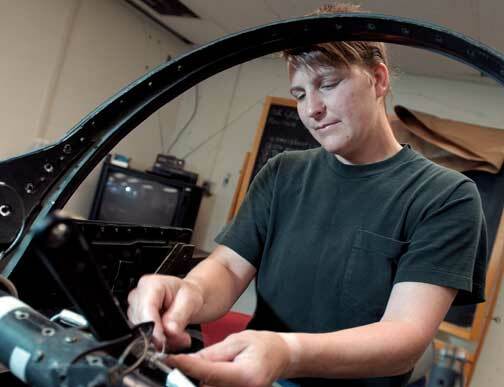 Her job is to help aircrew members escape doomed aircraft. But she was powerless to save her father when terrorists crashed his plane into the Pentagon. People said Jennifer took after her father, John. She never knew exactly why. Perhaps it was their mannerisms or physical features. But Jennifer always figured it had more to do with their mindset. They thought alike. They both had mechanical brainwaves, which is what led John to being a Navy test pilot and Jennifer to being an Air Force F-16 mechanic. As an egress technician, Technical Sergeant Jennifer Yamnicky helps make sure aircrew members escape an aircraft alive if a crash is inevitable. So you can imagine her anguish when her father died in an airplane crash, and she was powerless to do anything to save him. Her dad, John Yamnicky, a 71-year-old retired Navy fighter pilot, was a passenger on the ill-fated commercial airliner that slammed into the Pentagon during the September 11 terrorist attacks. Jennifer, an Air National Guardsman with the 113th Maintenance Squadron at Andrews Air Force Base, Maryland, was at work the morning terrorists hijacked Los Angeles-bound American Airlines Flight 77 and forced it into the Pentagon. None of the 64 people aboard the aircraft survived. Her unit sprang into action and did what it was trained to do. “We covered all the windows, locked all the doors and secured the area,” she said. Later, when a co-worker told her a third aircraft had just plowed into the Pentagon, Jennifer walked out the back door of an aircraft hangar, which is only about 12 miles from the Pentagon. She could see smoke billowing into the sky, and a strange feeling overcame her like a warning — a sixth sense. “We’d all been so busy securing the building that I hadn’t had time to think about Dad,” she said. Her father had gotten on a plane at Dulles National Airport in Washington that morning and was headed to California. Jennifer shook her head and quickly dismissed the terrifying idea. Nevertheless, the thought kept nagging at her. Jennifer and John were very close. They only lived minutes away from each other and shared a love for raising horses and working on their Maryland farms. John had just helped Jennifer build a fence around her 10 acres of land. Even at 71, his strength amazed her. He’d throw 75-pound bails of hay to the barn loft as if tossing beanbag chairs. They’d have push-up contests. He could do 75 one-armed push-ups to Jennifer’s 30 two-armed push-ups. In her eyes, he was Superman — larger than life even at 6-foot-1. His strength was always a comfort to her. When Jennifer heard that the plane that crashed into the Pentagon had been headed for California, her father’s destination, she got more nervous. “I decided to call Mom to ask her what flight he was on,” she said. John and Jann had been married for 41 years. And for 41 years, he had put his itinerary on the refrigerator. That’s a phone call she never got. Meanwhile, Jennifer’s unit went on full alert. Her supervisor told her they were going to 24-hour operations, as F-16s scrambled in homeland defense mode. He told her she could go home and get some clothes to prepare for the long stay. “When I drove home, I was so nervous that I was shaking,” she said. Jennifer wasn’t home 10 minutes when her phone rang. Before she drove to her mom’s house, Jennifer took 10 minutes to collect herself. John had eight grandchildren, which was good because he was a big kid himself. He had four children, two boys and two girls. At 34, Jennifer was the baby of the family. John loved to dance and was quite good at it. Of course, all the girls loved him. He flirted with everybody. He liked to have fun and knew how to have a good time. But, mostly, he went out of his way to help people. He had friends across the country. Jennifer admired his easy way with people and aspired to be like him. Jennifer knew she had to let her emotions out, because she wanted to be strong for her mom. Jennifer still didn’t give up hope. When her grieving became too much, she did what she thinks her father would have done. She lost herself in work. But she was having a hard time being alone. Jennifer said it took her nearly four months to feel halfway comfortable talking about the tragedy. She admits she still sometimes wakes up in the middle of the night with panic attacks. Jennifer even started going to church. Jennifer said in addition to being stronger in faith, she’s developed stronger bonds with the military. John was very loyal and demanded that of those he associated with, including his family. Even after retiring from the Navy as a captain, he never severed his military ties. Many of his lifelong friends were ones he’d met in the military. He loved the discipline, the work ethic and seeing the world. He cut his teeth on military life and raised his family accordingly. Besides the support she received, Jennifer said she was very happy with her unit’s response to September 11. “I’m proud to be in this unit,” she said. “This unit was on its toes immediately. There wasn’t any ‘What do I do?’ It was ‘Let’s get it done.’ We secured the area, and we scrambled all our airplanes. “Everyone knew what to do. Nobody was falling over each other, and nobody got hurt. It all happened just like that,” she said, snapping her fingers. That’s something that would have made her father proud, too. Perhaps the most comfort Jennifer found came in the form of words from her commander. She wondered if they’d been thrown about the aircraft during the hard turn into the Pentagon. Were they hurt? Were they confused? Did they ever figure out what was happening? Those were words she could understand, because she’d heard similar ones before — from her father. In one such incident, he was in a test flight when one of the engines cut out on his aircraft, she said. He headed back to home base when another engine cut out. John finally smashed into several large 55-gallon drums. That’s when he finally stopped. The drums flew up and came crashing back down on the top of his jet. If it hadn’t been for his canopy, he would’ve gotten squashed, Jennifer said. “I always thought the things he did in the military were so neat,” she said. “His stories just amazed me. Five years can be a blink of an eye, or an unbearable eternity, depending on your perspective. For Lorraine Dixon of Sandgates, Maryland, who lost her father John Yamnicky in the terrorist attack on the Pentagon on Sept. 11, 2001, the past five years have been a little bit of both. Five years have come and gone, and Dixon, 42, still cannot talk long about her father before tears strangle her voice. Everyday life is a minefield of painful triggers — a news report of a plane crash, a generic e-mail reminding people never to forget the victims of the attack, a million small things that provoke a memory of her father. “You’re just smashed back into it,” she said. This time of year is particularly rough. "Right around August, I start getting worked up," she said. For Dixon's mother Jann Yamnicky, five years has not been long enough to adjust to life without the man to whom she was married for nearly 42 years. There may never be enough time. Daughter Mourns Loss of Father "I don't know if at my age, I'll ever get over it," Jann Yamnicky, who is in her seventies, said. It's the early evenings, when her husband would come home from work and the couple would share stories of their day, that are the toughest. More than anything, she is lonesome for his company. Her children stop by, but it's not the same as having her husband, her lifetime companion. "It's that time of day when he would come home," she said. "The evenings are still really, really hard." Asked if having such a personal tragedy inextricably tied to such a public catastrophe has made moving on more difficult, Dixon said that rather than being a burden, the association is vitally significant to her. “This is my personal pain, but I kind of feel like the world is forgetting,” she said. “I don’t want to disassociate myself [from Sept. 11] at all,” she said. “I don’t want this to be swept under the carpet. I don’t want people to become blasé about it,” she said. "It's difficult going back over 9/11, but I don't want it forgotten," Jann Yamnicky said. She does not like attending official Sept. 11 events because it "brings it all back in a bad way," she said, but thinks it's important for the country to stay focused on what happened that day. "It changed my whole life. It changed life here in America," she said. "I am still adjusting." John D. Yamnicky, Sr. was a big man, with a big life to match. He was a strapping high school football player with the grades to earn a scholarship to Princeton, and the guts to turn it down to instead attend the U.S. Naval Academy. He was a career naval officer whose service spanned the Korean and Vietnam wars and a stint as the director of the test pilot school at the Patuxent River Naval Air Station in southern Maryland. He retired as a captain rather than accept a promotion to admiral so that he could spend more time with his four children. He was a fearless military test pilot who survived five crash landings and was selected into the astronaut program, only to be passed over at the last minute because he was just too big. He was a master grill man who presided over family barbecues cooking up his legendary ribs and swigging beers with his four grown children, a burly grandfather who wore an eye patch emblazoned with a dragon, who’d get down on the floor to let his small grandchildren climb and tumble all over him. John Yamnicky was 71 years-old, the oldest passenger aboard American Flight 77 bound for Los Angeles, when hijackers flew the plane into the Pentagon. For the family of a test pilot, his death was not only tragic, it was cruelly ironic. "I never did worry about him when he was flying. I had such confidence in his ability," said Jann Yamnicky. "He always said he would die in a plane crash, so when he quit, it was a relief." Five years later, his larger than life presence lives on in the yawning void he left behind. "There is so much I thought I could take care of that I can't take care of without John," said Jann Yamnicky, who still resides on the sprawling, 10-acre farm in Waldorf, Md., where she and John settled in 1972. "It will always be hard to get on without him," she said. Though the farm is a lot of work, and can feel isolating, she said the horses she and her daughter, Jennifer, are raising there give her a reason to get up in the morning. "I have to get up to feed the horses, and that's a good thing, because sometimes I don't want to," she said. After her father's death, Dixon said, the family received an outpouring of “If it weren’t for John…” letters detailing the many ways Yamnicky had touched the lives of his friends and colleagues. The correspondence has been one of her few comforts, Dixon said, confirming that others saw her father the way she did. “He was just a super individual. He was funny,” she said. “Daddy was just one of those people that made an impact on so many people’s lives." John Yamnicky went to work in the defense industry after his military retirement, and Dixon, a financial analyst, followed her father into the field. At the time of his death, they worked for the same Lexington, Md., defense contractor, Veridian Corp., in the same building, on the same floor. She would pass by him every day in the hall. “In my job, I win a lot of awards,” she said. “Daddy was in the same industry. He was really the only person who could understand,” she said. But the hardest part of the past five years, she said, has been the mental catalogue she keeps of all the conversations she cannot have with him. She couldn’t tell him that her son made the basketball team. She couldn’t tell him that her young daughter was taking a trip to Australia—a country her father and mother, avid travelers, had loved. When her children all did very well on standardized school testing, she couldn’t tell him about it — or thank him for footing the bill for their private schools. “I miss him most when I just want to say, 'Hey Daddy, guess what?' I miss being able to tell him about these things,” she said. Every year, she collects and stockpiles the newspaper coverage surrounding Sept. 11. This archive clutters the home she shares with her husband Jim and her three children because she keeps the entire newspaper — she can’t make clippings because she can’t actually make herself read the stories. She does not live very far from her father’s grave at Arlington National Cemetery, but she has not been able to bring herself to visit since the funeral. “I just…can’t,” she said, her voice thick with tears. “I keep saying every year, you should go…[but] I’m afraid. To me, it’s just like yesterday,” she said. Dixon is not the only one of her three siblings who took a career cue from her father. They all have forged careers in defense, aerospace or the military. Her brother Mark works for aircraft manufacturer Boeing, and brother John David runs a company called Pentagon Realty Services. Jennifer Yamnicky, 39, is a tech sargeant in the Air National Guard Reserves, and works out of Andrews Air Force Base. On the day of the attacks, she watched the Pentagon burn from her post, and initially refused to believe her father was on the plane. She was called up for duty in the months following the attacks, and after receiving several years of waivers, was deployed overseas for four months. Though Dixon no longer works for Veridian, her father’s legacy in the industry is inescapable. Two years ago, her work required her to attend a meeting at the Pentagon. She was so frightened to return to the site of the crash, she had to call her sister to take her to the meeting, and she has not been back since. More recently, she walked into a meeting at a different company, only to be confronted with a picture of her father hanging on the wall. The Yamnicky family has attempted different ways of coping with their loss, but life has not always cooperated. On the second anniversary of the attack, the family decided against marking Sept. 11 at the Pentagon commemoration, as they had done the previous year. Instead, they gathered at a local restaurant to celebrate John Yamnicky’s life. A close family friend who attended the party was killed in a car accident on the way home from the event. For Dixon, the small window of possible healing that opened that night slammed shut. The following year, Dixon, her husband and children started a tradition of spending Sept. 11 on a family vacation in Virginia Beach, Va. It was her husband’s idea, reminding her that she was not alone in her pain. For Jann Yamnicky, coping is less about the past than it is the future, facing alone what was supposed to be a retirement they shared. "My social life with John was pretty much all based on him," she said. He was the out-going one, the people person. "I just followed along behind him and I'm just not comfortable going places without him," she said. Her social life now revolves almost exclusively around her children and grandchildren. She continues to work as a nurse part-time, for no other reason than to get out and see people. She has long-term care insurance so that she can always remain on her farm. "We had always planned on taking care of each other," she said. Still, life for Sept. 11 survivors can sometimes be as surreal and unfathomable as the attacks themselves. To help identify Yamnicky's remains, the FBI took DNA samples from the family. Dixon was shocked to learn that her mother had been provided with an urn of her father's ashes. "How is that even possible?" she marveled. Five years after the Sept. 11 attacks, Dixon admits that she has difficulty coming to terms with the loss, and said her grief has made her “selfish.” She hears about other families experiencing death and tragedy, but said she has a hard time feeling sympathy for them. Recently, when she heard that a young soldier from her town had been killed in Iraq, she struggled to feel for the family. Her loss, she said, always seems somehow to be so much worse. Dixon said she is tortured by the thought of her father’s final moments. As an experienced Navy pilot with extensive combat experience and training, her father would have known exactly what was happening, she said. “I knew Daddy, and I know he knew,” she said. Jennifer and her mom, Jann, put a harness on Sky at their 10-acre farm in Waldorf, Md. Jennifer helps on the farm every day after work. She had helped her father, John, a retired Navy captain and fighter test pilot, maintain the farm before he was killed. Jennifer and John were a lot alike, and they spent a lot of time together working on their farms. which was set aside for victims of the terrorist attack. following the tragedy and is proud to serve with her co-workers.